Whether you are planning a rustic chic wedding, a formal black tie wedding or something in between Harmony Hall Estate offers endless possibilities for your dream wedding. Harmony Hall Estate is situated on 18+ acres with beautiful landscaped grounds surrounded by a natural wooded setting that can easily accommodate your indoor/outdoor ceremony and reception. The ballroom’s clean palate of warm neutral tones, hardwood floors and gabled windows allows you to create the wedding of your dreams. Our recently renovated farm house is the perfect setting for your bridal lounge and rehearsal dinner. Our professional wedding specialists are available to assist you with every aspect of planning your dream wedding from custom & package menus, event décor, entertainment, bridal flowers, transportation, lodging and more. Let our team take the stress out of planning a flawless wedding day, Harmony Hall Estate…Endless Possibilities. At Harmony Hall Estate YOU CHOOSE!!! Now offering three (3) ways to host YOUR DREAM WEDDING at Harmony Hall Estate!!! Pre wedding day delivery of décor elements, etc. 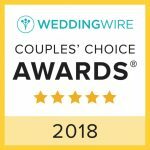 Set up and tear down of all your wedding day accessories & décor elements, etc. 3). Do It Yourself (DIY) – you set up & tear down and we do the catering! Save $10 Off Any Package! 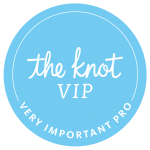 Now Offering Honeymoon Packages and Destination Wedding Planning! Call today to schedule a personalized event consultation and site tour and discover the endless possibilities at Harmony Hall Estate! To view more HHE Wedding Photos click this link! "Karen, Jill and the entire staff are very attentive and make your day go smoothly. Their professionalism helped put our minds at ease and help to relax us and let us enjoy our celebration."